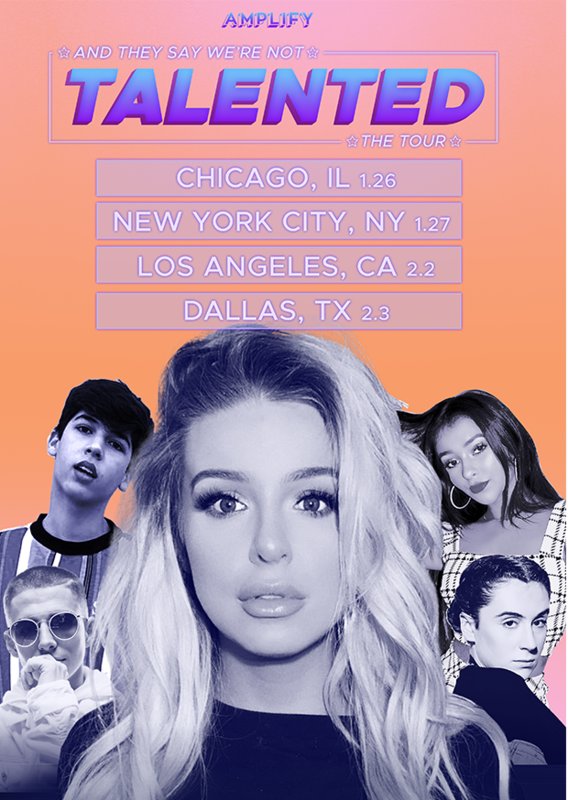 The “And They Say We’re Not Talented… The Tour” Starring Tana Mongeau, Trevor Moran, BadZach, Mario Selman and Danielle Cohn will be hosted in select AMC Theaters around North America. The meet and greet takes place before the show in the front of the theatre in our select large venues. Meet and Greet access is based off your ticket class with our highest “All Access Pass” given entry first, then VIP and GA. The higher the ticket class the longer the meet and greet experience. Once the Meet and Greet has taken place and you are in your seats, the show begins. Going for 45 minutes the show is a live version of your creators content, with Q&A’s, storytimes and other video based content. Photo opportunity with each of the Creators - with more time to take multiple photos! Gold-section seating - closest to the stage!